In this episode of Avengers Now! 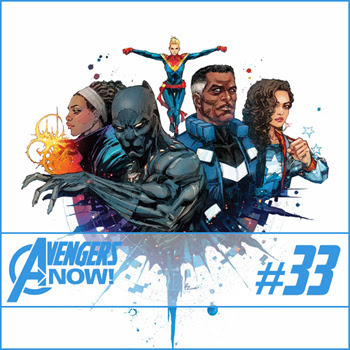 Antony and Paul finally get to discuss the finale of Secret Wars. Plus, two more Avengers books are added to the rotation with Squadron Supreme and A-Force. Avengers Now! - Secret Wars #9, Squadron Supreme #1 - 3, Ultimates #3, Uncanny Avengers #4, New Avengers #4 - 5, All-New, All-Different Avengers #3, and A-Force #1.